Year in year out, State of Origin football never fails to bring the nation to a standstill. For the best part of 38 years, the State of Origin battle was morphed into an all-out war, as players sacrifice the bodies for the ultimate glory for their state. The rivalry is beyond fierce – the desire to defeat your cross-state opponents burns deeply within both players and fans alike. Looking to overcome the representative retirements of Queensland greats Cam Smith, Johnathan Thurston and Cooper Cronk, the Maroons will charge into this year’s series looking to send off fellow Queensland legend Billy Slater with the finale he so dearly deserves. With a new look spine, and the confidence of 11 out of the last 12 series victories, the Maroons are primed to continue their era of dominance over the Blues. 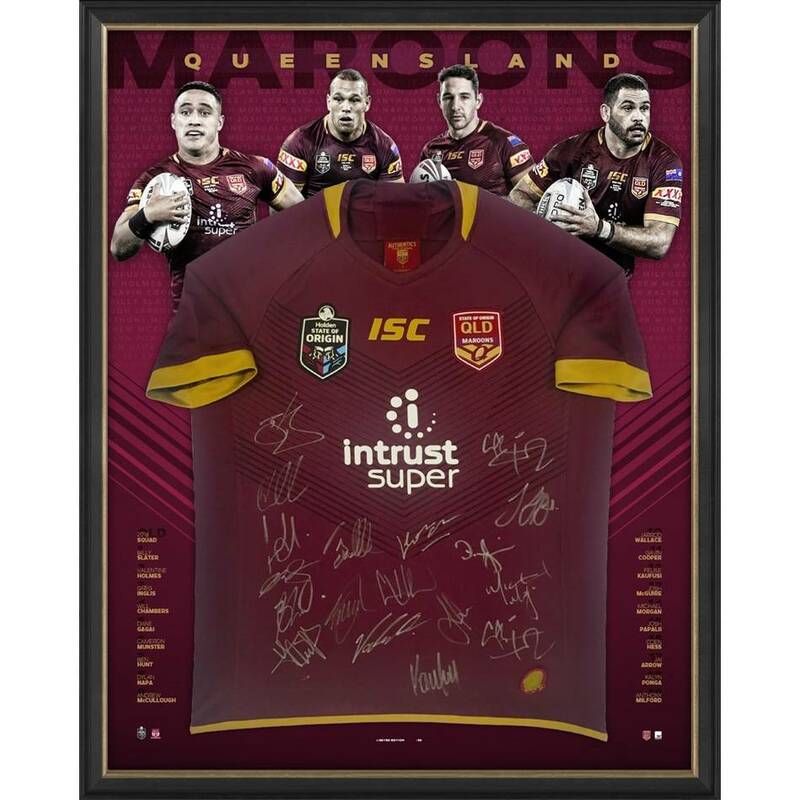 Official Memorabilia, in conjunction with the National Rugby League, is proud to release the Queensland Maroons 2018 State of Origin Squad Signed Jersey. 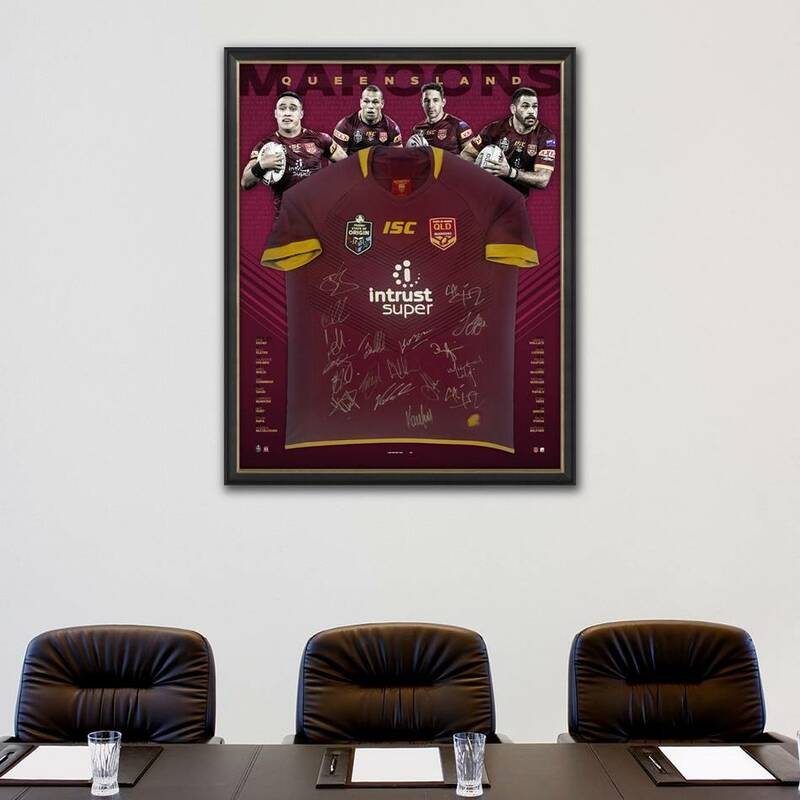 Personally signed by the 2018 Queensland State of Origin squad ahead of Game 1, this magnificent jersey display represents one of the best value-for-money premium memorabilia products on the market. Limited to just 50 editions worldwide, each edition comes officially licensed by the NRL and independently authenticated for your peace of mind. This limited quantity is sure to sell out fast – secure yours now to avoid disappointment.